Rising apparel brand Hardies Hardware collabs again with athleticwear giant adidas Skateboarding for its second capsule collection and it drops today. Hardies Hardware is a clothing and accessories brand created by adidas pro-rider Tyshawn Jones and friends. Adding to his resume, Jones was awarded Skater of the Year status by Thrasher Magazine in 2018. The first collab with adidas happened in 2017. It featured the iconic Hardies Hardware symbol of a screw with a fist on gold and black apparel and striped sneakers with matching colors. 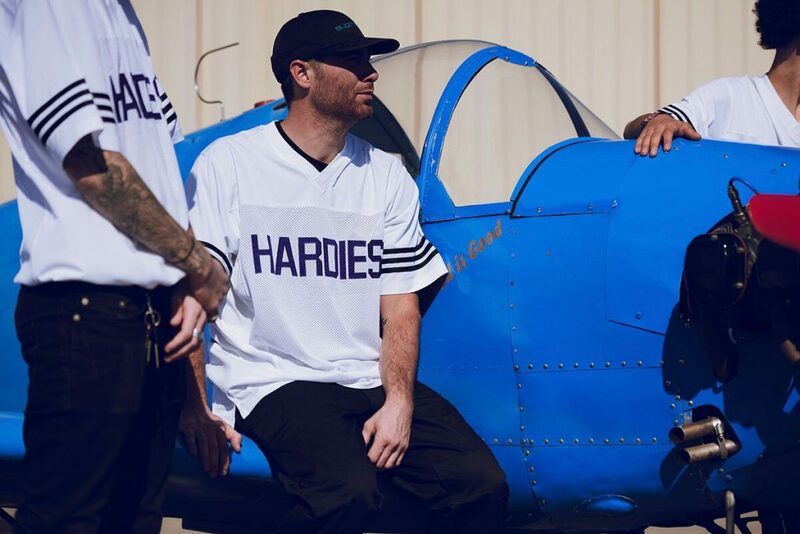 This time Hardies Hardware x adidas Skateboarding includes convertible cargo pants, jerseys, hoodies and more with a white, purple and grey color scheme. To kickoff, the drop, pro-skater Tyshawn Jones and the rest of his crew take a dive out of a plane and spin in free fall, thousands of feet above the ground. DISCLAIMER: THIS VIDEO IS FOR FLY PEOPLE ONLY. The short clip debuts all six pieces of the capsule worn by Jones, fellow adidas team-riders Jake Donnelly, WHO KID, Troy Stillwell, Val Perre, and Justin Casado. 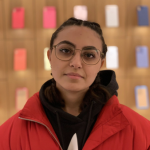 Jones with his iconic du-rag wears a white nylon jacket with detachable sleeves for versatility making the greatest backside flipper according to Twitter while skitching an airplane look flier than hell. The hoodie features embroidered logos, all over stripes, and a mid-weight fabric. Adding more drip to the collection, the Hardies Jersey is made out of recycled polyester fabric in a relaxed fit with a signature Hardies logo emblazoned on the chest. Hitting us again with the versatile vibes, the Hardies Pants feature a multi-pocket design in a durable fabric with zippers to convert from pants to shorts. The foot ware shown in the clip is fire, with the Matchcourt High RX2 seen flying high. 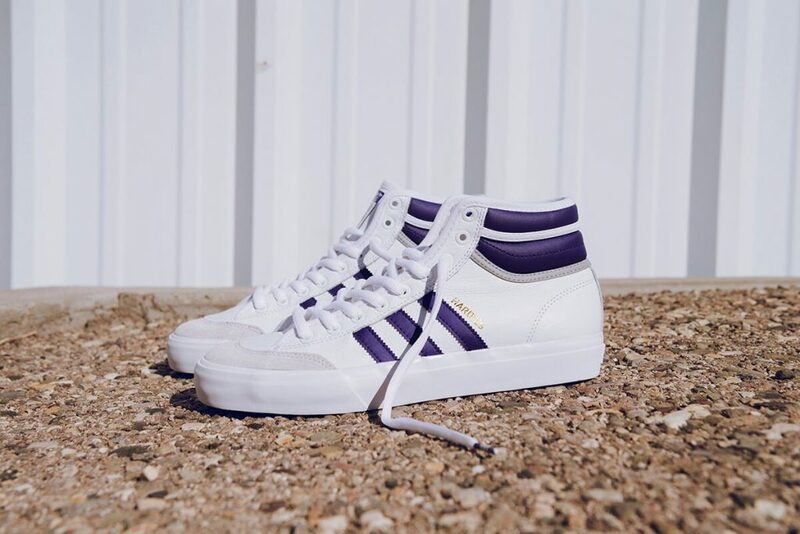 Both the high-tops and Sabalo are in the same color scheme of white leather and purple accents. With curved midsole design and Geo-flex outsole for board control. Get the drip before it runs out. The limited-edition collection is available now via specialty adidas retailers worldwide and the adidas Skateboarding website. Previous ArticleTwitter Justice: How much media attention will it take to #FreeAdnan? Next ArticleLegally Kardashian: What's inspirational about Kim studying for the bar?